Made For Retailers, By Retailers. VRP puts you one step ahead of the game with our cutting edge technology, e-commerce integration options, 100’s of reports and knowledge of your business at your fingertips 24/7. VRP has hundreds of modules to fit almost any vertical imaginable, allowing you to be organized and efficient. From inventory management to managing your employees and customers, our software allows you to focus on your business growth and not juggling the details. In control, everywhere, all the time. With local, cloud, and hybrid server options, you can access your store from anywhere on any device. Peace of Mind and location independence. You shouldn't have to adapt to a system - Systems should be created for your needs. 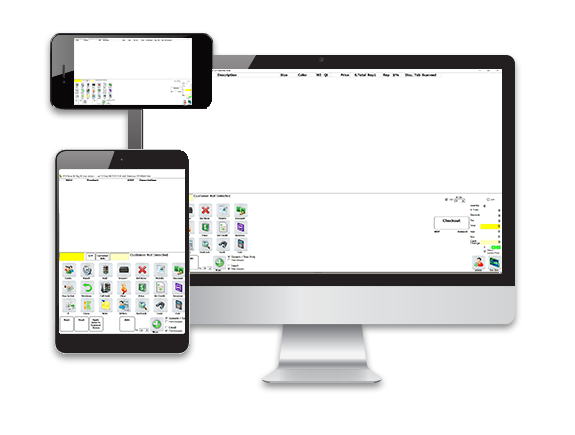 Flexibility is front and center in VRP's interface and functionality. We're continually developing VRP in order to ensure that you have what you need to be the "go to" store for all of your customers. Our reliable turn around time for all customizations is fast and per your requirements. Time tracking, scheduling, and more. Manage all of your stores from one place, saving you time and frustration of juggling independent stores. We have full featured POS opportunities that integrate with major online platforms. No need to keep track of your business in two places. Now your online store and retail locations are all synced into a central place. With VRP's CRM you have easy look up of your customers information by any field, the option to keep track of loyalty points, select VIP customers, add notes, sales history, house accounts, email receipts and more. Ready To See If VRP Is Your Perfect Fit? Schedule A Free, No Obligations Demo Today!